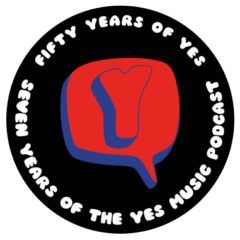 The one hundred and fortieth episode of the Yes Music Podcast, featuring my initial reactions to the extract of ‘Step Beyond’ taken from the forthcoming album, Heaven and Earth. What can we tell about the track from this tiny extract? I think you are in the minority! However, I don’t think we can do anything to prevent the backlash. I feel it won’t be until a few years’ time that we can really tell the worth of this record. Thanks for the comment!